In Acts 2:14-41, Peter stands up on the Day of Pentecost to preach the first post-ascension, Holy Spirit-empowered Christian sermon to a crowd of unbelieving Jews. Rather than appealing to emotion, Peter directs their attention to the facts of fulfilled prophecy and the life, death, resurrection and ascension of Jesus Christ for the salvation of all who believe. Today we’ll continue the narrative we began last week (2:1-13) and examine the Apostle Peter’s sermon on the Day of Pentecost (2:14-41). One commentator calls this section “one of the most important theological declarations in the New Testament” (Bock, 108). Why? Because it is the first Christian sermon after Jesus’ ascension and the outpouring of the Holy Spirit. Therefore, it gives us insight into the content and message of the earliest Christian preaching. 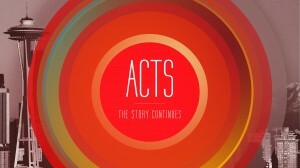 Preaching holds an important place in the book of Acts. Luke records 19 sermon digests (8 by Peter, 1 by Stephen, 1 by James, 9 by Paul), with the sermons of Peter and Paul alone accounting for 20% of the book. Significantly, from Peter’s sermon to our modern day, preaching remains central to the spread of the gospel and upbuilding of Jesus’ church. Peter refers to three Old Testaments texts in his sermon as being fulfilled in Jesus Christ (Joel 2:28-32; Ps 16:8-11; Ps 110:1). He highlights that the coming Messiah (“Anointed One”) would bring in the “last days”, be from the line of David, and die, rise and ascend. He begins with words from the prophet Joel spoken roughly 600 years ago. Joel spoke of a day when the Holy Spirit would be poured out in a way different than before, offering unprecedented access for ALL to God. That day has arrived. Examples: There are approximately 350 Old Testament prophesies that point to the coming Messiah, all of which have been fulfilled in Jesus Christ. They give the most extraordinary details concerning Him, including details about His birth in Bethlehem (Mic 5:2), being born of a virgin (Isa 7:14), riding into Jerusalem on the foal of a donkey (Zech 9:9), getting betrayed for thirty pieces of silver (Zech 11:13). being “brought as a lamb to the slaughter” (Isa 53:7), getting murdered and temple being destroyed (Dan 9). Q: Have you considered the importance of Jesus’ fulfillment of prophecy given centuries earlier? How does this offer comfort considering the rest of God’s promises and prophecies yet fulfilled? Jesus was a real, historical man from Nazareth (“Jesus of Nazareth, a man” 2:22). He was just as real and historical as Aristotle, Shakespeare, Winston Churchill and Abraham Lincoln. He was not an experience, abstraction or theory – but a God-man. As a historical figure, he is the best known, most influential human being in world history. More books have been written about him, songs sung to him and lives changed by him than any other person. Two billion people identify themselves as Christians and some estimate that number increases 70,000 daily. Even our Western calendar revolves around his coming (2011 AD – anno domini – “year of our Lord”). Q: Do you know this man? Have you spent time learning about Him? How does Jesus’ life practically shape and inform your life? Peter attributes Jesus’ death simultaneously to God’s sovereign plan and sinful people. Jesus was clear throughout his earthly ministry that He came to “give his life as a ransom for many” (Mk 10:45) and to “lay down [his] life for the sheep.” (Jn 10:15) But, his life was taken by sinful men, according to God’s definite plan (2:23). Importantly, how could Peter say “who you crucified” to a crowd of people who likely weren’t there? The reason is that, as the Bible tells us, all men are sinful and separated from God. We are born with a bias against him and ultimately seek to create a worldview where he is dismissed. This means that you and I both killed Jesus. Other people did it, but it was our sin that brought it about. And, significantly, it was for this same sin that Jesus died to make atonement for. Q: Have you considered the fact that you killed Jesus? How does that change your understanding of the cross? vs24 Why was it not “possible for him to be held by it”? Jesus could not be held by the “pangs of death” (vs24) because of the power of God (Jn 10:18), promises of God (Jn 2:19) and the purposes of God (1Cor 15:17; 2Tim 1:10; Heb 2:14) Peter does not say “I can’t prove anything to you, so close your eyes, take a leap into the dark and hope it goes well.” No. What does he say? He says, “This Jesus Christ was raised from the dead and we are witnesses to the fact.” Jesus Christ is alive! We are not here wasting our time this morning. Peter is not telling us to trust in a theory, but in a living resurrected Redeemer. Q: What difference does it make to trust in a living Redeemer versus a philosophy? Peter highlights two things that happened with Jesus ascension: the disciples were empowered and the enemy was defeated. First, Peter says, “Do you see me and my friends? We’re just common, uneducated men that have been supernaturally changed by the Holy Spirit.” (cf 4:13) The transforming work of the gospel in the life of a Christian is powerful. Second, given Jesus ascension, he is now seated at the right hand of the Father (place of authority, glory, preeminence) and his enemies are made his footstool (Ps 110:1). The bottom line of his entire message is that Jesus is Lord and Christ (vs36). As Christ (or Messiah, Savior) he is the fulfillment of God’s promises and all of Israel’s expectations. As Lord, he is at the right hand of God as the sovereign. The crowd is “cut to the heart” (vs37) and moves from asking “What does this mean?” to “What shall we do?” In other words, they’re saying “We’ll do anything!” Peter calls them to repent (lit. “change of mind”) and be baptized. The result? Over 3,000 Jews receive Christ as their Lord and Savior. Peter lays out five reasons to believe in Jesus Christ as Lord and Christ: fulfilled prophecy, Jesus’ life, Jesus’ death, Jesus’ resurrection, and Jesus’ ascension. You might say “I’m all right. I’m happy. I have all I want. It’s a wonderful life. I don’t need Jesus.” Yes, but how do you explain these facts concerning Jesus of Nazareth? The question is not what you need, but who is this person? Why fulfilled prophecy? Life? Death? Empty Tomb? Ascension? Spirit? Church? Have you ever asked yourself these questions? Ask yourself this fundamental question, “Who is Jesus of Nazareth?” Do not say “He was great man!” without asking “What does this He have to do with me? If you do that seriously you will see that He has everything to do with you. You are a living soul and of these events happened in your world, and it happened w/ you in mind. He came to seek and save what is lost (Lk 19:10) and to give his life as a ransom for many (Mk 10:45). He’s chosen to redeem us, not b/c we are worthy, but b/c he is worthy. Q: What do you do after you’ve become a Christian? The same thing. Continue to admit you’re a sinner, believe in Jesus Christ and commit your life to Him. Get plugged into a local church community that loves Jesus, loves His word, loves His mission – and join it. Ask God who he wants you to connect w/ and share the good news of Jesus. But, if you resist you must know this. There is no greater sin than not to see any need for Jesus. To not accept Jesus is to reject Him, and to reject Him is to reject God.